On Saturday my wee beb turned 1 year old. If you aren’t aware, over at her website I’ve been doing a photo-a-day project. 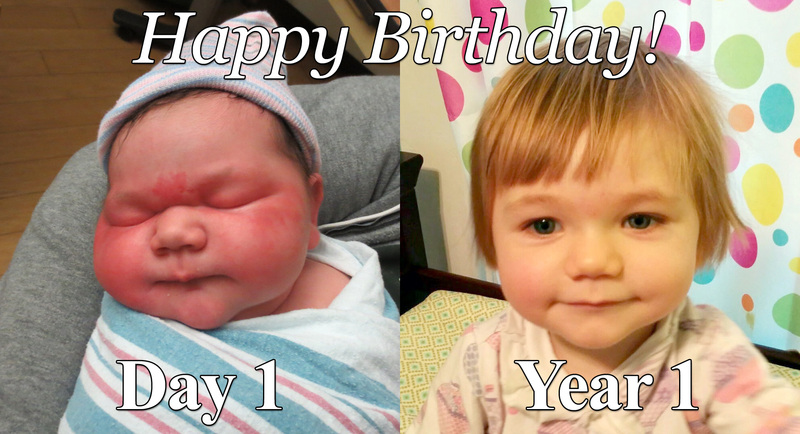 Long ago when I started doing this, I had the idea of stitching all of the photos of Avery’s first year together into a video where each photo is shown for one second so the video would be 366 seconds long. Unbeknown to Carrie, I thought that watching a six-minute video of a bunch of photos would be much better if it had some musical accompaniment. So I secretly set about writing a song that was exactly 60 beats per minute and had exactly 366 beats in it. We just happen to be a part of a community that contains some of Seattle’s very best musicians, so without Carrie’s knowledge I secretly reached out to several of them to see if they would be willing to be a part of this project, and the response was very enthusiastic. Categories: Life, Music, Videos, Wee Beb. » Next Post: Julia Massey & the Five Finger Discount New Album Release Show This Saturday: A.L.I.T.E.